Working with Kerri Irvin Ross, MLA for Fort Richmond, and Manitoba Housing and Community Development (HDC) has provided very interesting information on rental properties in the Fort Richmond/University Heights area. HDC obtained data from Canadian Mortgage and Housing Corporation’s 2015 Winnipeg CMA Rental Market Survey (October 2015), the Canadian Mortage and Housing Corporation Housing (CMHC) Information Portal, and the 2011 National Household Survey. NOTE: This data focuses on legal rental units (apartments and condominiums), not rooms in private homes. In Fort Richmond, 20.4% of households were renters and 79.6% of households were owners. Fort Richmond and Fort Garry have 3,347 rental units in the primary rental market. The rental universe in Fort Richmond has grown by almost 27% in the past four years. 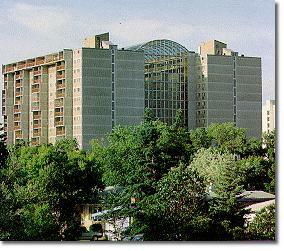 Although rental housing options are available in proximity of the University of Manitoba, rents are higher than Winnipeg as a whole and are well above an affordable level. CMHC’s Rental Market Surveys do not provide statistics on rooming houses or on the secondary rental market at the neighborhood level. For more information, please click on the Rental Market Overview for a detailed breakdown. The primary rental market is comprised of units that were constructed for the purposes of being rented. The secondary rental market is housing that was not initially built for rental housing (i.e. condominiums, single family dwellings) but that is rented out by the owner.